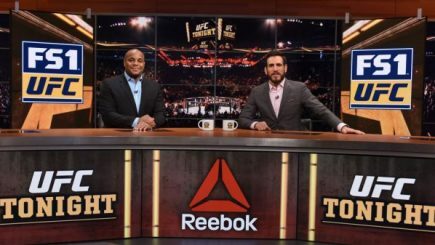 Endeavor buys streaming company NeuLion, Variety reports interesting option Endeavor could be entertaining regarding television rights, a look at UFC 223 next weekend, Darren Till vs. Stephen Thompson announced for Liverpool card, Combate America signs television deal, and more. The WWE has announced that Jimmy Hart will be inducting Jimmy Hart into the WWE Hall of Fame on Friday night in New Orleans, Louisiana. 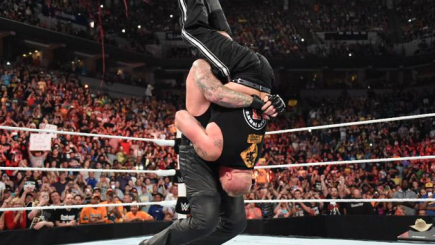 Reader Victor D’Angelo Jr. sent in a live report from Friday’s WWE event at the TD Garden in Boston, featuring Brock Lesnar vs. Kane vs. Braun Strowman, and a singles match between Seth Rollins and Finn Balor. 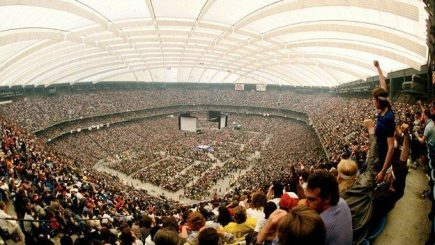 A look at the attendance figure from WrestleMania 3 following Deadspin’s research, Impact does a strong number on POP, L.A. Memorial Coliseum seeking future WrestleMania, reviews of NXT and Impact Wrestling’s television, Andre the Giant screener notes, Brock Lesnar wrestling in Boston tonight, and more. 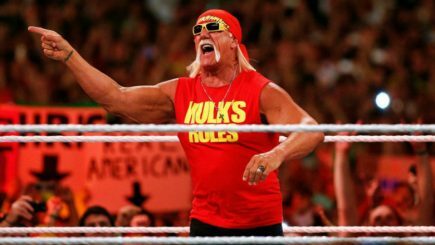 Hulk Hogan is expected to attend a screening on Thursday night for the Andre the Giant documentary, which Hogan was interviewed for. 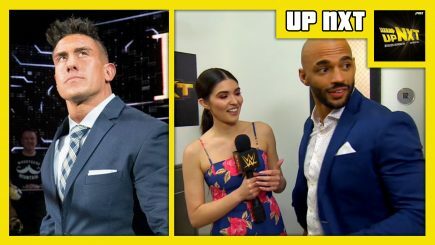 Earlier this month, the company stated they have spoken with Hogan regarding helping others to learn from their mistakes while confirming that he was not under contract to WWE. 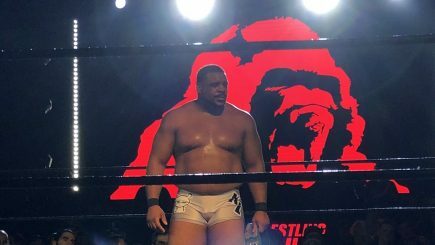 PWG has announced the cards for All-Star Weekend 14 on April 20th & 21st in Reseda, featuring a three-way match for the PWG title on the second night with Keith Lee vs. Jonah Rock vs. WALTER, and The Young Bucks’ final match at the American Legion Post venue. 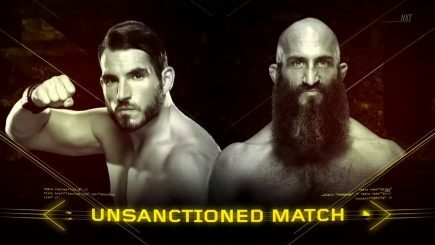 On Wednesday’s episode of NXT, it was announced at the start of the show that Tommaso Ciampa will take on Johnny Gargano in an “Unsanctioned Match” at Takeover on Saturday, April 7th at the Smoothie King Center in New Orleans, Louisiana. 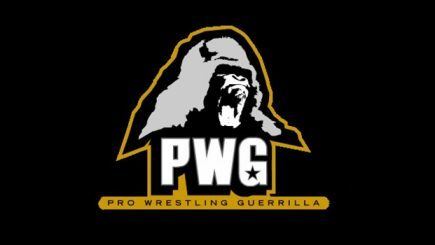 Pro Wrestling Guerrilla has announced the end of an era as the popular Southern California promotion will be holding their final events in Reseda, California at the American Legion Post #308 over the next two months. 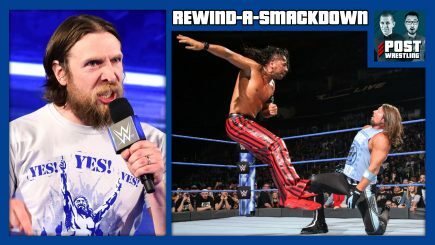 A new report from Deadspin confirms that the Louisiana Boxing & Wrestling Commission will not hold the WWE and ROH performers to certain moves being banned on their shows, SmackDown and Raw numbers, son of Sweet Georgia Brown defends Fabulous Moolah, updated battle royal participants for WrestleMania, interview with Liam O’Rourke, and more. 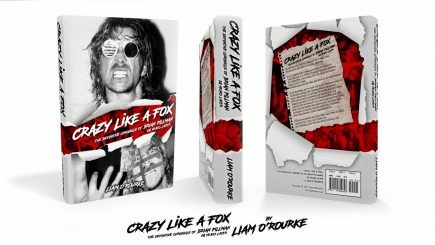 The new book on the life of the late Brian Pillman, Crazy Like a Fox: The Definitive Chronicle of Brian Pillman 20 Years Later, is one of the most fascinating and compelling wrestling biographies ever written and is a must-read for anyone interested in this fascinating story that held so much promise but ended up tragically going out of control. 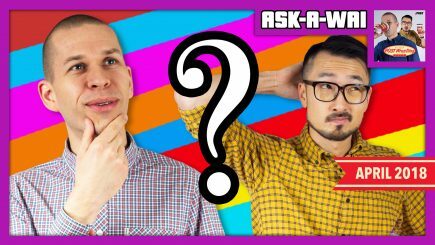 Dan Lovranski had a chance to sit down and discuss the book with its author, Liam O’Rourke. 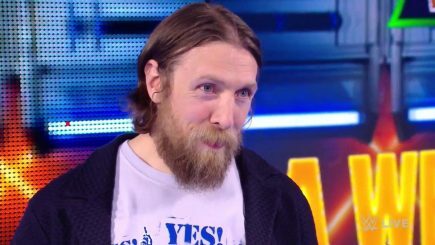 Tuesday’s episode of SmackDown Live featured several matched being added to WrestleMania, including Daniel Bryan’s involvement on the show, more additions to the Andre the Giant Memorial Battle Royal and the SmackDown tag title match on the card. 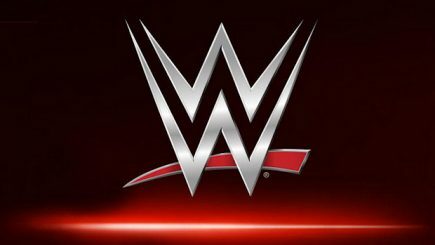 The WWE has announced that Charlotte has been removed from tonight’s SmackDown Live taping in Pittsburgh. 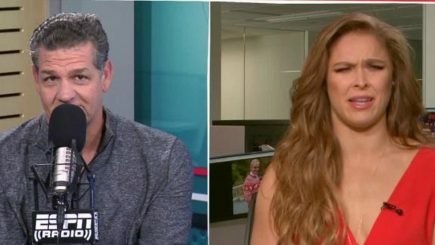 Ronda Rousey had several awkward exchanges with ESPN on Tuesday, back up ideas for Daniel Bryan’s match at WrestleMania, nine women defend the Fabulous Moolah, Sakura Genesis card released, EVIL returns, WWE Network expected to add “Saturday Night” episodes, Road Dogg to induct Jeff Jarrett, and more. 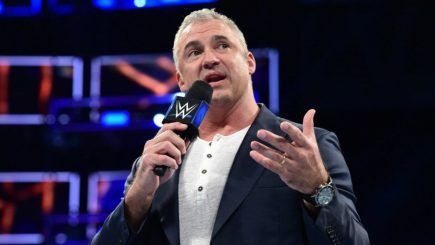 The WWE announced on Monday afternoon that Shane McMahon has been hospitalized due acute diverticulitis and an umbilical hernia. 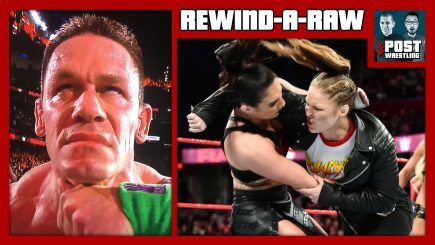 The WWE announces matches for the “Greatest Rumble Ever” card, no women will be performing on the show, Ronda Rousey teased for Raw in Cleveland, Leon White undergoes open heart surgery, New Japan books the Cow Palace for July, review of this week’s ROH episode, anniversary of the final Monday Nitro, and more.